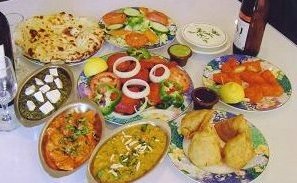 India Garden restaurant with two exceptional locations in Indianapolis (Broad Ripple and Downtown) is owned by Darshan Mehra, known as Tony, who have been in the restaurant business for over 17 years. Our menu features the authentic northern Indian entrees and our special charcoal clay oven (Tandoor) to produce the unique flavor of dishes cooked in Tandoor. India Garden also carries wine and beer list designed to perfectly complement your meal. The India Garden menu includes these words by Bibiji Inderjit Kaur, a cooking teacher and author. "Perhaps the best way to bring the nations of world into harmony would be to spread a dinner table that spans the globe. It would be a wonderful sight, all those different foods, cooked to perfection, with a rainbow of colors and a myraid of pleasing, tempting aromas, being shared in joy and gratitude by all the people of the world-and no reserved seating. Our executive chef with twenty years of experience in Indian cooking uses ancient, traditional cuisine of India to anchor the India Garden's menu while creating richly-flavoured, healthfully cooked lower fat and calorie dishes. India Garden is an excellent, very relaxed, and affordable, inviting guests to enjoy the hospitality which reflects our Indian heritage. Our goal is to satisfy our guests and provide them with an experience that is second to none. Each of us can start now, in our own home, by trying foods of other lands and by sharing the recipes and experiences of other people to forge this eternal link of body and soul-the grace of God through the gift of food". India Garden is our dream come true.